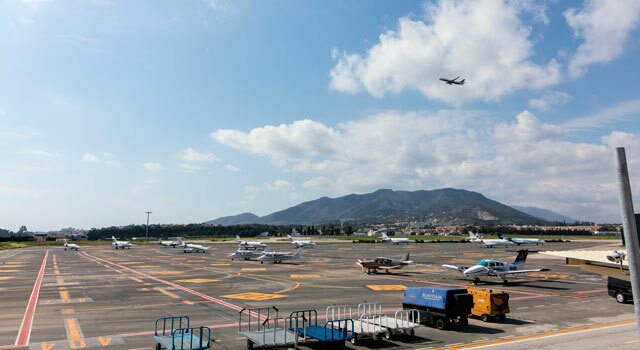 Use this website to quickly find the most important information about Malaga Airport or Costa del Sol Airport: Flights (Departures, Arrivals and Delays), Parking, Car Hire, Hotels near the airport and other information about Málaga airport. Plan your travel to AGP Airport with the information provided in this site. Málaga Airport (IATA: AGP, ICAO: LEMG), officially Málaga-Costa del Sol Airport (Spanish: Aeropuerto de Málaga-Costa del Sol) is the fourth busiest airport in Spain after Madrid-Barajas, Barcelona and Palma de Mallorca. It is an important airport for Spanish tourism as it is the main international airport serving the Costa Del Sol. It is 8 km (5 miles) southwest of Málaga and 5 km (3 miles) north of Torremolinos. 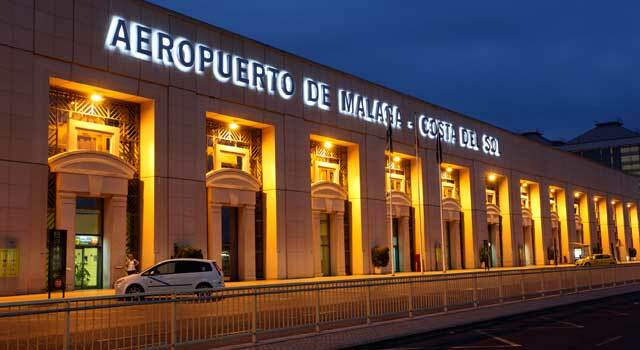 Málaga - Costa del Sol Airport is the international airport of Andalucia accounting for 85 percent of its international traffic and is the only one offering a wide variety of international destinations. In 2017, 18.6 million passengers passed through it. 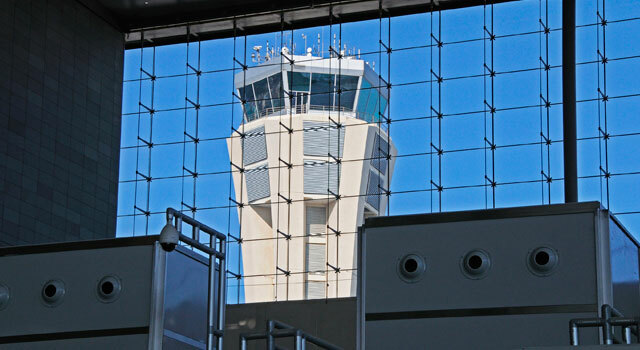 The airport has flight connections to over 60 countries worldwide. 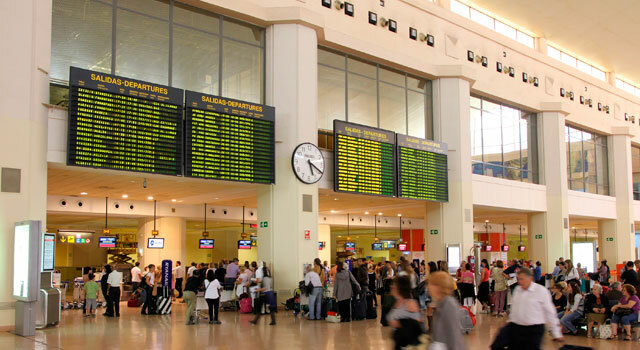 AGP airport is connected to the Costa Del Sol and has a daily link with twenty cities in Spain and over 100 cities in Europe. Direct flights also operate to Africa, North America and also Middle East, in the summer season. The airport has 3 passenger terminals, but all the flights depart from Terminal 3 (in some cases the check-in is done at other terminals). - Terminal 1: Since the inauguration of new T3, it is not used anymore and all facilities are closed. - Terminal 2: Since the new T3 opened, the terminal has changed, and has had a renovation. Most people consider that it is a part of Terminal 3. - The busiest year in terms of passenger traffic was 2017, when 18.6 Million passenger used the airport. - The busiest european routes are: London (operated by 5 airlines), Manchester and Barcelona. - The airport is mainly used for lowcost carriers, being Ryanair, EasyJet and Vueling the airlines operating more flights. 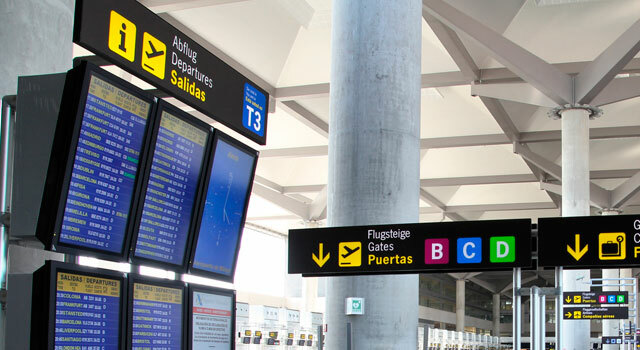 Malaga airport has lots of different services available to all passengers as: restaurants, bars, cafés, stores, Duty Free, VIP Lounges (P2), Medical Assistance, Defibrillators, Free WiFi, ATMs, Currency Exchange, Pharmacy, VAT refund, among others. Check here the different options and prices to rent a car at Malaga airport! The tourism and, as a result, the passengers using Malaga Airport is very seasonal. The months with more traffic are, following the order: August, July, September and June. If you plan to travel during these months, be sure to make a well Car Hire booking in advance to avoid high prices. Best Prices in Car Hire! Search in our car hire booking engine!